Zoroastrianism is the most important monotheistic religion of the ancient world and can be rightly regarded as the mother of all religions since many concepts of Zoroastrianism are presently found in other religions, especially the Judeo-Christian religions that believe in God, eternal heaven, revival of the dead, judgment day, conflict between good and evil, importance of righteous living, expiation of sin and so on. Zoroastrianism also has some ancient connection both positively and negatively with the Vedic religion of ancient India. Both worshipped gods, some having similar names, performed fire sacrifices, had identical social divisions and spoke different dialects of the same language, namely Sanskrit. Contact or confrontation with Zoroastrianism might have also played an important role in the emergence of the Atharaveda, containing magical chants and spells, as the fourth Veda. 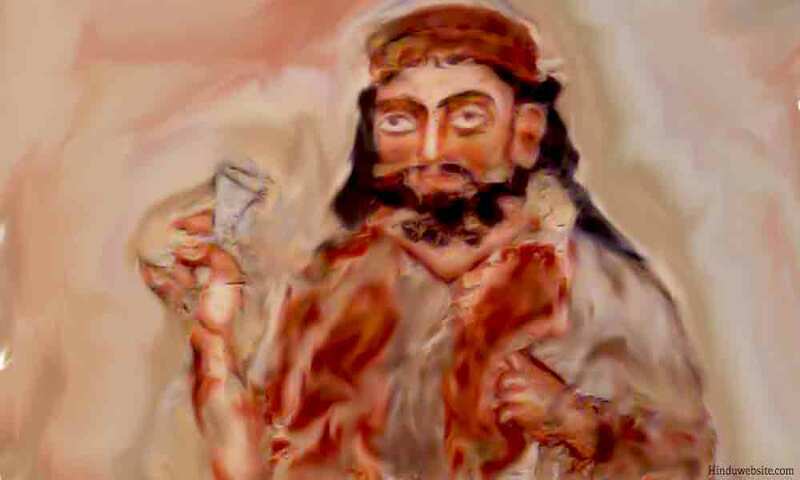 Zoroastrianism was founded by Zarathustra or Zoroaster, dubbed by the Greeks and western world as a magician, but a Prophet by all means whose teachings once dominated the entire Middle East and even beyond up to the borders of the Indian subcontinent. According to Zoroastrianism the world is a combination both good and evil. Truth (asha or asa) representing good and falsehood (druj) representing evil in the human conduct are the twin aspects of life. Creation cannot exist without the presence of both. In the beginning of creation, Ahura Mazda, the Supreme God, created two Mainyus or twin spirits called Spenta Mainyu, the good spirit and Angra Mainyu (Ahirman), the evil spirit. Creation is possible only when they both come together. Spenta Mainyu is responsible for all the good works in the creation of God. He exists in all of us and helps us see the light within ourselves. Ahirman is an illusion. He exists in order to make us understand what true existence means. By opposing good, he makes us realize the importance and necessity of good in our lives. In this eternal conflict, Ahirman ultimately loses out to Spenta Mainyu. It is to be noted that neither Ahirman nor Spenta Mainyu are absolute powers. They are the creation of God and work according to His Divine Plan, or Asha. Just as the Hindus chant Gayatri mantra and consider it as very sacred, the Parsis chant Ahuna Vairya Mantra which is considered to be very sacred by them. according to the scriptures of Zorastrianism, Ahura Mazda uttered this manthra at the time creation and manifested the whole creation. The significance of this mantra is such that chanting of it is considered to be equivalent to chanting of all the sacred texts. By chanting it continuously, the Parsis believe that one can drive away forces of darkness both with in and without. The first line of the verse says that just as a ahu (king) is powerful on earth, a ratu (a seer or a great soul ) is powerful everywhere because of his Asha. The second line of the verse says that the gifts of Vahumano are for those who work for the Lord of life. It means that Vahumano bestows his boons (love and purity of thought) upon those who indulge in good thoughts and good actions according to the divine will of God. The third line of the verse says that the Supreme power of God is bestowed upon him who considers himself as the helper of the meek and the lowly. The third line thus lays special emphasis on the concept of Sraosha or service. Zarathustra gave three commandments to his followers to enable them lead perfect lives and work for their own evolution. These are humata (good thought), hukhta (good word), and havarshta (good deeds). Good thoughts are very important in the spiritual journey of man, because all else comes out of out of thoughts only. Without good thoughts, there cannot be progress on the spiritual path. Without good thoughts one cannot subject oneself to Divine will and become qualified to receive boons from Vohu Mano. Thinking good alone is not sufficient. But one must have the courage to speak Truth all the time. One must be truthful to oneself and to others. There is no place for hypocrisy or duplicity in the life a of a true Zoroastrian. Performance of good deeds is equally important. The supreme Power of God, in the aspect of Kshatra Vairya comes to Him who engages himself in good actions. Good actions include Sraosha or service.